Lumion is an essential tool for everyone who wants to visualize their building designs. It produces impressive, high quality videos very quickly and is extremely easy to master. Lumion has customers in over 90 countries around the world. They include architects, designers, engineers, BIM modellers and universities. Lumion is now seen as the leading software in its class because it has redefined the process of making 3D visualizations. It has also become an essential part of the BIM toolkit for many AEC professionals. Excellent materials are vital when you need to create convincing visualizations. The Lumion material library has been extended and vastly improved. 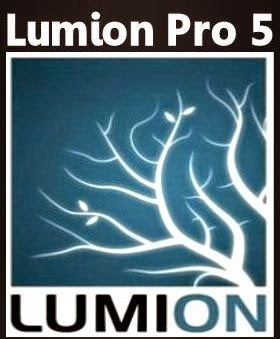 123 new materials have been added to Lumion 5, taking the total to well over 648 available materials. But not only this. All the materials in the library have undergone a conversion process and are now all physically-based which means the materials look better and more realistic than ever before. Physically Based Rendering (PBR) is a method for calculating how light reacts to a surface and is based on the physics of the interaction between light and a surface. The result is a more realistic looking material. There are several completely new categories of material, namely plastic, leather and stone. All of the previously existing material categories (20 of them) have many extra materials available. These new physically-based materials, combined with the new, more intuitive, materials interface is a great leap forward, enabling users to find exactly the textures that they are looking for, simply and quickly.